The new Star Trek, as you might have heard, is a mess, even, for some people, a travesty. The good people at io9 have done a fair job of exposing—in extreme plot-revealing fashion, so beware—the absurdities of plot and pacing in the latest iteration. What was once a quasi-meditation on the craze for perfection and the burdens of leadership has now become a sort of special-effects soup. 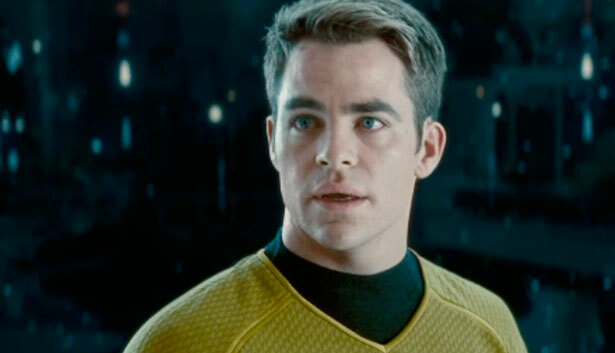 The actors are as winning as ever—in truth I’m half in love with Chris Pine, whose Kirk at least lacks the priggishness of the Shatner iteration. But they are mired in a simultaneously pretentious and idiotic plot that can’t be saved by charm alone. You can blame JJ Abrams himself, or you can blame Damon Lindelof (the, uh, “mastermind” behind Lost), but the result is the same: the thing is a dud, Star Trek by way of the screenwriters of the famed art film Transformers 2. True, you might need the devotion of a fan to get to a place of tragedy here; Hollywood’s ruining a franchise doesn’t rank too high on the scale of global injustices. And yet, the fans do have a point that goes beyond nerdery. When the first Star Trek remake came out, in 2009, Roger Ebert complained, “The Gene Roddenberry years, when stories might play with questions of science, ideals or philosophy, have been replaced by stories reduced to loud and colorful action. Like so many franchises, it’s more concerned with repeating a successful formula than going boldly where no ‘Star Trek’ has gone before.” Which again, to those of you who’ve always wondered about the magic of warp cores and the high-handed meditations about something called the “Prime Directive,” may seem like the complaint of a sucker. Except, I think, we all need a little suckerdom sometimes, particularly if we’re going to remain a place that still cares about science, ideals or philosophy. I speak as a kid who was raised not on this original Star Trek crew but on The Next Generation, who will always prefer Picard to Kirk. (Hollywood, hear me now: there’s no reason to recast Patrick Stewart and try that as a reboot, okay? Don’t do it, man!) For reasons of budget, the show rarely had much by way of special effects, and other than the running joke that was the android Data, almost less humor. (Riker’s, uh, “wisecracks” didn’t count.) The thing that kept us all tuning in week after week though, I think, was the dream of it. The dream of travelling around, exploring “strange new worlds,” all under the auspices of a polity devoted to truth and justice, and one in which the citizens all believed, absolutely, and without question. It was a hokey, ridiculous, impossible dream. But it engaged me all the same, so much so that I still sometimes stream it on Netflix, while I’m cleaning house. It’s like a Buddhist meditation tape starring people in impossibly tight polyester outfits. That might sound like I’m justifying pablum, though I suppose in a way I am. There is a tendency on the left to behave as though the real, serious matter of politics is entirely separate from culture, and particularly from popular culture. The nitty gritty of politics, either the baseball game atmosphere of elections or the dreary slicing up of policy solutions, is treated as the real stuff of social change. I don’t mean to suggest that it isn’t, but it has, for a long time, seemed to me that the left lost its grip on aspiration. That sounds vague, but what I mean is that the articulation of bigger, bolder, better things is no longer as much the priority as getting this bill through the Senate or that idea in front of a committee. Pragmatics have their place, but, they are not everything. Of course, we debate the interaction of vision and politics with respect to Obama, and endlessly argue over whether he’s lived up to the standard he set for himself in those speeches. But there is no larger sense that Americans ought to be articulating that vision to one another. In today’s public conversation, the greatness of the American political structure, or at least its immovability, is taken more or less for granted. There is no need for revision or even flexibility, let alone large-scale change. In this limited case, it’s the box office one. It’s not that the directors and writers don’t know what they do, I think. It seems a deliberate sort of decision that in the new Star Trek, the Prime Directive—which holds that the new cultures the crew comes across should not be subjected to undue interference—is little more than a pretext that allows for the cool special effect of the Enterprise underwater. The rule is an arcane holdover, the kind of thing that bold young men such as occupy the rebooted Enterprise will never listen to, if they want to have true adventures. Who needs world peace and humanitarian values, anyway, when there’s stuff to be blown up? Is the Susan B. Anthony List the NRA of the anti-choice movement? Read Ilyse Hogue’s take.